Seth M. Wise is Executive Vice President of BBX Capital (NYSE: BBX), President of BBX Capital Real Estate, and serves as Executive Vice President and Director of BFC Financial Corporation (OTCQX: BFCF). He has more than 20 years of experience in many facets of real estate finance, management, investment, restructuring and development. Throughout his career, Mr. Wise has been responsible for managing approximately $3 billion of real estate assets in various classes including industrial, retail, and a particular focus in housing that includes single family, master-planned communities and multifamily. He currently manages an acquired portfolio of nearly $600 million of performing and non-performing loans and real estate. Mr. Wise's real estate development experience includes in excess of 1.5 million-square-feet of industrial space. He has also been involved in the development, ownership and asset management of nearly 2,000 rental apartment units and single family homes. Mr. Wise also has expertise in equity investment, lending, and debt restructuring, including the management of a commercial real estate workout portfolio of over $1 billion. Mr. Wise is an active member of organizations in his field and community. He is on the Executive Committee of the Ambassadors Board of Nova Southeastern University. Mr. Wise has served as an Executive Board Member of the Real Estate Advisory Board of the Center for Real Estate Studies at the University of Florida, and the Southeast Florida/Caribbean Council of Urban Land Institute (ULI). 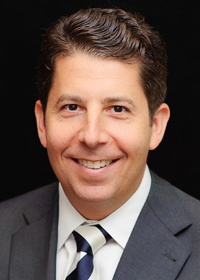 He is a member of the prestigious Young Presidents Organization (YPO), and serves as Chairman of the Board of Directors for Jewish Family Services of Broward County, a non-profit human services organization. Mr. Wise earned a Bachelor of Science degree in Finance from the University of Florida.